Some of you have expressed your like of giveaway hops. Here is yet another such giveaway. In our giveaways tab at the top of the page you will find other giveaways we have going on along with some shared giveaways we take part in for those of you who like those. 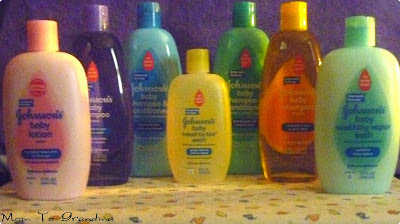 Our sponsor is giving one lucky winner a set of JOHNSONS BABY'S reformulated products, Sweet! Must be 18, US only, sorry friends! 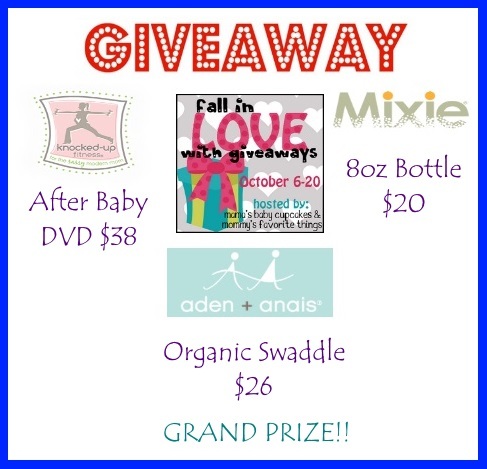 Winner must return winning e-mail within 48 hours or forfeit. Good Luck to all! 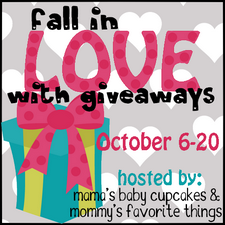 Disclosure: Mama's Baby Cupcakes, Mommy's Favorite Things and the "Fall In Love with Giveaways" participating bloggers are not responsible for sponsors who do not fulfill prize obligations. Fb nor any other social site has any part in his. My son and his wife just had their fourth baby and this would be so great for them!